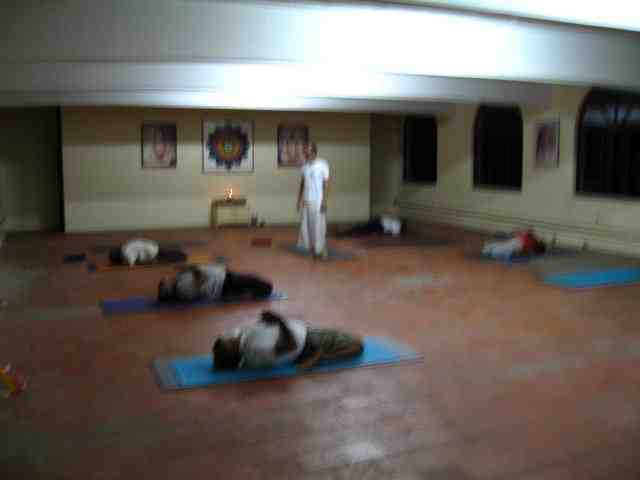 Yoga Nidra, the yogic deep relaxation, is one of the most powerful techniques that comes from the science of yoga. It's powerful in the sense that it is very effective in addressing a wide variety of ailments. Yoga Nidra works on many levels: physical, energetic, emotional, and cognitive. It has an even broader range of uses and techniques. Most often, deep relaxation is used to relax the physical body and reduce mental stress. However, traditionally, it has been used by yoga masters and healers to deal with hard-to-eliminate negative thought patterns and addictions. These are deep-seated beliefs formed in this and previous lives and are considered to be the cause of negative personality traits. Yoga Nidra works to reduce or eliminate their negative effect. In deep relaxation, you tap into the subconscious mind, which is normally inaccessible in the waking state. The subconscious mind is a fertile soil - it receives fully whatever it is given. It does not analyze or refuse any idea, or information. Any thought planted in the subconsciousness will bear fruit. Any positive or negative thought will become part of the subconscious mind. Throughout our daily lives, we are subjected to many messages, subliminal and blatant, that imprint on our subconsciousness, and influence us in the most profound ways. For example, being subjected to constant violence, aggression, and competition will reflect perfectly on your subconscious mind, and eventually solidify as your mental Self. The opposite is true: Love and Compassion, if practiced regularly, become your Mental Self. In Deep Relaxation, one is able to access the subconscious mind and consciously affect a positive change, create healing, and reverse any negative conditioning. One is able to release unwanted damaging, distracting, and disturbing thought patterns. With regular Yoga Nidra practice, the subconscious mind becomes transformed. Deep-seated anxieties and worries fall away. Stress relief and physical relaxation of any muscle tension are natural side effects. By stimulating and relaxing different parts of the brain with physical movement, body awareness, and mental auto-suggestion. YOGA SECRET: Yoga Nidra is most effective after a well-balanced yoga class, or any type of exercise. The focus of a proper Deep Relaxation technique is to release the tension in the brain, so that the subconscious part of the mind can be accessed. C. Finally, through witnessing the thought forms. Every cell of the body is connected to the brain through a complex system of nerve endings and nerve circuitry. By mechanically moving different parts of the body, the brain is able to 'feel' where the body is. Moving the body part by part, connections are made across the whole surface of the brain. The same idea is taken further to 'feel' and mentally relax the body part by part, starting from the toes all the way up to the scalp and the brain itself. Particular attention is given to the hands and the face as these organs have the most nerve endings. COOL FACT: If you focus on relaxing specific parts of the face (the tongue, the cheeks, the eyelids, etc.) over and over for a few minutes, a state of deep relaxation can be easily achieved due to so many nerve endings there. Try it when you wish to fall asleep. Again, this process of mental relaxation messaging affects the whole surface of the brain and harmonizes the brain waves. This is when the subconscious mind starts to surface. Finally, the practitioner 'floats' between the conscious and the subconscious by being a witness to the thoughts, the breath, and the body. You can remain in the witnessing state as long as you like. True transformation occurs when a healing auto-suggestion is made in that 'in-between' state. "My body and my mind are totally relaxed and my heart is full of peace". "My body and mind are full of healing light and vitality." WARNING: Because of its profound impact on your psyche, please consult with a qualified yoga therapist before attempting such a specialized deep relaxation practice. Deep relaxation has the potential to transform your long-standing thought patterns. (Slava's Yoga DVD contains a guided traditional Deep Relaxation practice).